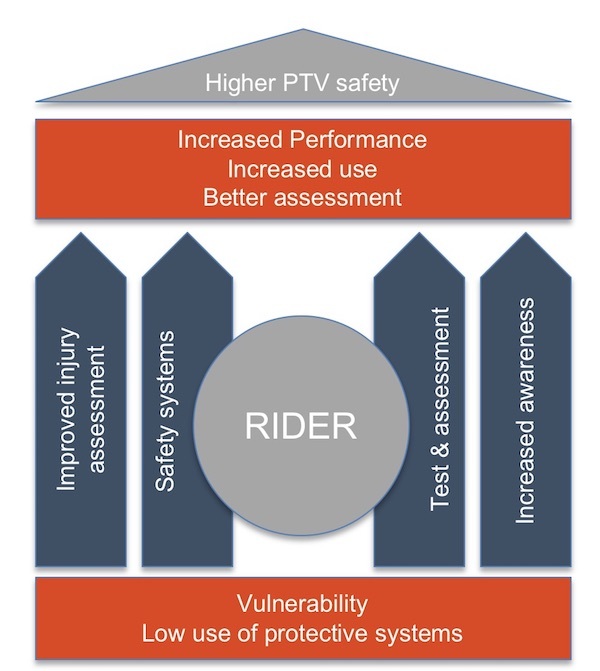 A dedicated project on PTW safety is needed to tackle the issue, involving a representative sample of stakeholders: from research specialists, dedicated test facilities and expertise and the related industry (both PTW manufacturers and protective equipment suppliers). PIONEERS bring all those together in a community dedicated to increasing PTW safety putting the user (rider) at the centre. To increase the awareness and the usage rate of PPE.